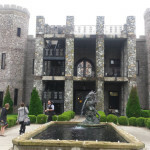 What more of statement can you make for an international traveling couple than to host your wedding and reception at the only castle in the state of Kentucky? Ronesha and Lavon found their perfect venue that fit both of their personalities. Now,…to put it together. 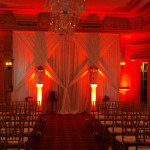 Uplighting and sound for the ceremony, Sound and lighting for the reception. 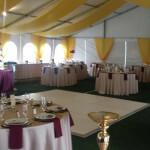 The weather was perfect for their tent wedding and their guests definitely knew how to have a good time. I’m envious of their travels and happy they invited us to take part in their big day!